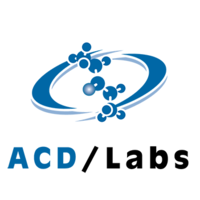 One of the most rapidly evolving areas in life science and chemical analysis is the informatics segment, and analytical data handling and knowledge management company ACD/Labs has worked to be at the forefront of changes in the industry. IBO had the opportunity to chat with Andrew Anderson, vice president of Innovation and Informatics Strategy at ACD/Labs, at Pittcon last month about how partnerships inspire innovation, the effects of AI and IoT on lab workflows, and the company’s latest product offering. Data structure is key to informatics, as is storing the data in a way that is convenient and accessible. To address this, companies are increasingly providing cloud-based offerings, and although this is extremely helpful in streamlining workflows and offering centralized data solutions, it is not without its challenges. “If you look at the intent of the cloud, the intent of distributing data, it is two-fold,” Mr. Anderson said. “It makes proliferation of data easier, but it also lowers your infrastructure cost.” The cloud, he explained, allows for greater flexibility and also provides a financial incentive, as it will not depreciate and require to be replaced the same way fixed-cost investments do. “The challenge is, you have to get the data [to the cloud],” he added. Another area Mr. Anderson predicts AI will be impactful is in designing scale processes more efficiently. “[It will support users who think,] ‘I know how to make something at a gram scale—how do I make it at a metric ton scale? That scale-up process optimization is an area that we are very excited about,” he added. 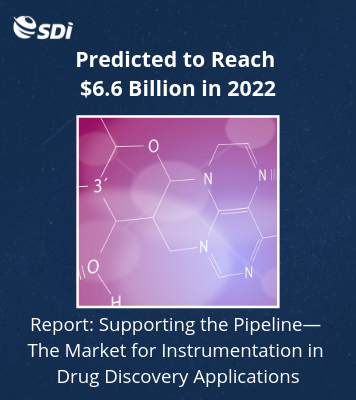 To address many of these concerns, last month, ACD/Labs launched Katalyst D2D, a web-based application, for high-throughput experimentation, including reaction optimization, process development, catalyst screening and scale-up. According to Mr. Anderson, Katalyst D2D is the company’s first web-based application, which makes it much easier to deploy and also allows customers the freedom to tweak layouts in the application. “One of the things that’s a continuous challenge is that administrators want a wealth of functionality, but still want simple user interfaces,” he explained. Katalyst D2D is built to address the rapidly changing informatics landscape, especially in regards to data structures. As Mr. Anderson explicated, traditionally, data have been stored in centralized repositories known as data lakes, which are relational databases from which users can take data that may not be structured and place them in the repository. The data are sufficiently tagged, he explained, to where users can have specialized applications that allow for rapid querying, making the data easily retrievable. Katalyst D2D, however, has an additional capability, as it can support non-relational data structures. “With non-relational data structures, you have a very monolithic table, but lots of different types of data that are tagged in a way that we can go to any record in that table, find the appropriate data and pull it out,” he stated.